In the southwest of Europe, there is a treasure called Portugal, a country full of history and sailing heritage, kissed by the Atlantic ocean on West and South Coast. It was here, in the Portuguese South Coast, known as ALGARVE, in the 15th century, that the Portuguese set off on the epic journey that led them to make discovers all around the globe… and it is in the Algarve that we cheerfully welcome many of our visitors. Algarve is blessed by the warm and sunny weather, you can have 300 sunny days in a whole year. The Summer season goes from July to September. There’s no shortage of high-quality beaches where sand stretches as far as the eye can see which framed by golden cliffs, concede deserted islands. These mark the boundary between Ria Formosa and the sea, and small coves sheltered by rocks. The ocean, in every shade of blue, is mostly calm and warm, invites you for long swims and to indulge in water sports such as Surf, Kite Surf, Windsurf, diving, Clift jumping, snorkeling, fishing and much more. Portimão is the largest city in the western Algarve and was traditionally a center for sardine fishing and processing. Nowadays, the city represents one of the most popular touristic destinations in the Algarve. Amongst the reasons why, it would be inevitable to point out the vast area of the thin sandy beaches, as well as the golden rocks surrounding it. These rocks represent a big attraction as it allows visitors to practice snorkeling and observe the marine life.Close to the marina, there are a variety of shops which offer all the food essentials. Furthermore, if required there is a wider offer of supermarkets only 4 km away. The guests will be welcomed on a marina lounge. They will have the chance to check in and get to know the rest of the adventurous explorers during the welcoming party. In regards to the food, there will be the chance to try fish just caught, just grilled and drizzled with local olive oil. Alternatively, if seafood is not really your thing, there is always Italian and Japanese food, which are the house specialties. The lounge is also well known for the epic sunset parties which go on further into the night. The yachts will only leave port the next day, around 8 am. Alvor is a pretty Portuguese fishing town that has developed into a relaxed and mature holiday destination. Alvor has a distinctively Portuguese appearance with traditional whitewashed houses, narrow cobbled streets and small fishing boats pulled up along the banks of the river. During the evening the river bay turns on the perfect spot for Kite Surf. You can have your Kite Surf baptism there. Here, you will have the opportunity to contemplate the small bay of Praia de João de Arens in a CIRCLE RAFT Floating party!! It’s almost completely enclosed by an imposing cliff face. The rock extends into the sea on both sides of the beach, sheltering it from the wind and currents. It’s worth taking a walk to explore the rocky landscape immediately surrounding the beach. The formations create fantastic natural scenery and range from holes in the rocks to natural gateways in the stone. At night, If you want to dance on the beach with the sand between your toes, this is the place for you. Caniço is a bar with a difference, built between the cliffs by a lovely cove and reached by a lift from the cliff tops. During the regular live music and party nights, a DJ sets up on the sand and you can dance till the sun rises. Lagos perfectly blends traditional Portuguese culture and beautiful beaches with great tourist facilities. Lagos has a delightful historic center, which is surrounded by the ancient Moorish walls and overlooks pretty harbor estuary. Within the city center, there is an extensive selection of restaurants and the nightlife is equally as diverse, from small sociable bars to late night banging clubs. To the south of Lagos is the Ponta da Piedade headland, a series of highly weathered cliffs that are lined with spectacular grottos, arches, sea caves, and are regarded as the finest natural feature of the Algarve. Some even say it is the perfect spot to explore with a kayak and SUP board. Furthermore, extending to the east of Lagos is the 4km long Meia Praia Beach, which is the longest sandy beach on the western side of the Algarve. Sagres is a destination where visitors come to embrace nature’s immense power, whether is it through surfing, on the land hiking or basking under the glorious sun. Sagres may not be for all, as the town has a laid-back mood with an outpost’s rugged and unkempt appearance, but for others, Sagres will be the best location in the Algarve. Sagres offers visitors beautiful beaches, a unique fort and some of the best surfing beaches in Portugal. Just outside of town is the Cabo Sao Vicente, the most westerly point of mainland Europe. Albufeira is the largest, liveliest and most energetic of all of the towns that line southern Portugal’s of the beautiful Algarve coastline. Albufeira provides stunning beaches, a vast selection of restaurants and a buzzing nightlife. There is honestly so much to love about Albufeira. As a result, the once peaceful fishing village has to turn into the Algarve’s most popular holiday destinations. For night entertainment in Albufeira, there is a handful of bars, restaurants, and clubs. To the east of Albufeira, there is a road known as the ‘Strip’ lined with bars and places to eat. It has built an international reputation for its nightlife. Rua da Oura is the most crowded street in Algarve at night, here you can do a pub crawl and a have a good night with your mates. Where you have several water sports to choose from the banana ride, jet ski, snorkeling and caves exploration. Vilamoura has the most trendy nightspots and Vilamoura’s vibrant nightlife has never failed to capture every traveler’s heart. With plenty of restaurants and night live performance venues, Vilamoura indeed offers guests every possible entertainment there is. This night we will sleep in the Marina area, where most of the bars and restaurants are located, is flocked by locals and tourists alike, enjoying the beautiful sights, sumptuous food, and good music. Here you will be able to enjoy the most epic sunset parties at the beach! The Benagil caves are some of the most impressive sea caves in Europe. The Benagil cave Portugal was listed in the world’s “Top 10 Coolest Caves” published by The Huffington Post. Benagil Sea Cave in the Algarve is a true natural wonder. It’s a sea cave with a natural occurring oculus that towers over its own secluded beach. At the right time of day, the Sun casts light through this dome, illuminating a stunning scene that anyone visiting Portugal should try to see. On all cave tours, you will go in and out of the most amazing caves. Besides the amazing views, you will hear and smell the ocean closely. As you get into a cave, the sun illuminates the water, creating amazing effects. You will love it. Benangil is a great opportunity is a great opportunity to enjoy a tour in a kayak or a SUP board. The Algarve’s capital has a more distinctly Portuguese feel than most resort towns. It has an attractive marina, well-maintained parks and plazas, and a historic old town full of pedestrian lanes and outdoor cafes. Its student population ensures a solid nightlife, and its theatre scene is strong. The lagoons of the Parque Natural da Ria Formosa and surprisingly quiet beaches, including the islands of Ilha de Faro to the southwest and Ilha da Barreta (aka Ilha Deserta) to the south, add to Faro’s allure. Olhão is a major port and actually the largest fishing port in the Algarve. It is full of character with Moorish-style houses, an influence from the commercial links with Africa. Ilha da Culatra is surrounded by beautifully clear water, with many species of fish, so it is perfect for diving and snorkeling. Ilha do Farol is not a separate Ilha, but the area at the western end of Culatra where the lighthouse is (‘Farol’ meaning ‘lighthouse’ in Portuguese) and again offers visitors a large expanse of sand and warm water. Ilha da Armona, the closest Ilha to Olhão, has a few restaurants and holiday chalets and large expanses of golden sand for a very relaxing day at the beach! SAILING DEPENDS ON THE OCEAN CONDITIONS, SO THE ORDER OF THE ROUTE COULD BE CHANGED. In the southwest of Europe, there is a treasure called Portugal, a country full of history and sailing heritage, kissed by the Atlantic ocean on West and South Coast. It was here, in the Portuguese South Coast, known as ALGARVE, in the 15th century, that the Portuguese set off on the epic journey that led them to make discoveries all around the globe… Now it is time for you to discover The Algarve. Hire a Buggy and explore the Port cities like a boss in our hot wheels!  Just when you thought we couldn’t make your party better, we Add MTV into the mix! Welcoming Djs and dancers, will make each single moment EPIC! Long Dinner tables on family style with local food and drinks will refill your bag of energies and start your night with the best tastes. No matter the size, no matter the light, no matter what is in side, what matter is that you should found as much as you can! Algarve coastline is plenty of strange rock formations, no one similar to the other. Our favorite place, where the sunsets are magical, the beach is desert and the water is crystal. Under the bay, house of a few yachts, the sound goes down and it is an authentic show of light colors. Add good music and soft drinks to that and you will have the perfect celebration. Welcome to the only, the one, the place to be! NoSoloAgua Portimão Marina. Pool or beach you choose, but what we can tell you is that WILL BE EPIC! Welcome to Vilamoura, where there are Epic sunset parties at the legendary NoSoloAgua. Enjoy the flavors of the cocktails while dancing until the sun goes down. All the coastline is composed by magical secret spots where your yacht can reach. SUP is one of the best ways to explore the hidden secrets, to take epic pictures and to make your friends jealous while you are burning some calories! Dance all night under the glamour nights of Vilamoura! Hopefully you have a big heart, because you will find a bunch of new friends for life. There are many hidden pieces of sand to be found along the coastline. Why not to find your own? Adapt yourself to the simplicity of life at sea and head over to Portimão. Marvel at the gorgeous bay and try some delicious local cuisine before enjoying your first evening with your new friends at THE OCEAN WEEK. Here your will find the most famous caves of Portugal. Get ready for a team exploration day. Recharge batteries with sea flavors and get ready for a big night at the club LICK, featuring a light show and international headline DJs. Lose yourself on this small village in a sand bar island and taste the best fish and seafood ever! Here you will eat in one of the most beautiful places of Portugal, away from the civilization, you can only access by boat. You can spend the day exploring the sand bar island, taking a sunbath, playing beach games with your pals, but prepare your energy because the most EPIC PARTY of TOW will start before the sunset and will only end when you can’t hold on your feet anymore. Glamour and more Glamour! If you are a party rocker this is the place to be! From the Fancy sunset parties to the white nights, no way to get away from the party. Have you ever arrived in a club in a yacht full of party rockers? Here your will! “Definitively The Ocean Week was amazing because of the people and the atmosphere we had. All in all, this is a trip you will NEVER forget!